England’s Cancer Drugs Fund is to see its annual budget increased by 40 per cent – but ‘excessively priced’ drugs could be removed from the list if companies refuse to negotiate. The Cancer Drugs Fund (CDF) has been in place since 2011, and was created to help alleviate the regular controversy when NICE rejects a new cancer treatment, allowing doctors to use an alternative channel to fund treatment for some patients. However, despite the fund’s popularity with cancer patients, patient organisations and pharma companies, it is not universally loved. Its critics say the CDF is a ‘sticking plaster’ solution to wider problems about how to evaluate and pay for cancer medicines, and that it makes cancer a ‘special case’ – meaning other disease areas lose out. Nevertheless, Health Secretary Jeremy Hunt has today announced the annual fund will now increase from £200 million to £280 million, adding to earlier confirmation that it will operate until March 2016. But NHS England, the organisation which oversees the health service budget in England says it will put new scrutiny on the CDF, which has been exceeding its budget for some time. The fund is expected to spend £240 million in this financial year, thanks to more and more treatments being added to the approved list. The CDF is one of the greatest pressures on NHS England’s specialised commissioning budget, which is currently in crisis mode, undergoing a ‘turnaround’ review because of an annual overspend. NHS England expects the specialised commissioning budget to overspend by around £330 million in this financial year. For this reason, NHS England is keen to see CDF funding contained. But there is also political pressure at play: a UK general election will be held in May 2015, and the current Conservative-Lib Dem coalition government knows that funding for cancer drugs is a major concern among the media and voters. A total of 55,000 cancer patients has benefited from the Cancer Drugs Fund (CDF) since it was set up in 2011, aimed at giving access to drugs which have either been rejected by NICE, or have not yet been reviewed by the cost effectiveness body. The CDF has its own review panel, but is less demanding in terms of clinical and cost effectiveness than NICE, and the list of drugs approved for use through this route has continued to grow over the past four years. The government says the increase in funding is needed because the number of people diagnosed with cancer each year has increased by 9 per cent since 2009, and because the number of high cost cancer medicines continues to grow. The announcement coincides with two new drugs being added to the fund: Astellas’ prostate cancer drug Xtandi (enzalutamide) and Celgene’s Revlimid (lenalidomide) for a new group of patients with myelodysplastic syndrome, a rare blood condition; in both cases the drugs have been added to the list because of NICE rejections. The plans for greater scrutiny of funding have been announced after the chair of the CDF, Professor Peter Clark, wrote to NHS England chief executive Simon Stevens recommending changes to the current appraisal system. He said the CDF’s panel of experts would re-evaluate a number of drugs currently on the list, making evidence-based decisions about what would deliver greatest benefit to patients. NHS England has accepted and agreed these proposals. Copies of the letters are on the NHS England website. Responding to Professor Clark’s proposal, Simon Stevens said the CDF had been a success in allowing cancer patients access to innovative effective new treatments, but said there would be greater scrutiny on clinical and cost effectiveness. NHS England says it will negotiate with the pharmaceutical industry on cost to ensure best value for the NHS, and are already working with NICE, researchers and patient charities to examine the wider process of NHS commissioning decisions on new cancer drugs. The UK pharma industry association the ABPI has always had an ambivalent attitude towards the fund. It has welcomed the action to broaden access despite NICE’s rejections – but is aware of the provisional nature of the fund, and tacitly acknowledges the inequity it creates in the health system. Responding to the announcement, ABPI Chief Executive Stephen Whitehead said the new increase in funding was only a ‘short term solution’ – and said the real need was for NICE’s value assessment to be reformed. He said this would include the development of ‘sustainable aligned solutions’ involving NICE, NHS England and the industry working together. The new funding has been welcomed by patient organisations in cancer, such as Beating Bowel Cancer. The fund has been especially significant for patients with colorectal cancer, as Roche’s Avastin (bevacizumab) is the drug most frequently accessed via the fund, with more than 1,000 funding requests being made for the drug in the first three months of 2014. The drug has been repeatedly rejected by NICE for a range of indications, including colorectal cancer, because of its high cost. The second most frequently prescribed drug on the list is Janssen’s prostate cancer treatment Zytiga (abiraterone), which is only approved in a limited range of prostate cancer patients. Mark Flanagan, chief executive of Beating Bowel Cancer welcomed the news, but also said a sustainable solution for access to cancer drugs was needed, and called on NICE and the pharmaceutical industry to show “greater flexibility and a genuine willingness to work together in the interests of all cancer patients”. However the fund’s growth will not be so warmly received by groups representing patients with other conditions. Patients in England who could benefit from non-cancer drugs rejected by NICE have no equivalent fund, leading some to decry the ‘special status’ of cancer. The long term future of the fund beyond March 2016 is unclear, and could depend on how the new system works. It is clear that many in the NHS would like to do away with the CDF, and that NICE sees it as undermining its work. In political terms, the opposition Labour party is currently narrowly ahead in the polls, and could displace the current government in the coming general election. It has promised to reverse many of the coalition’s NHS policies; however it is inconceivable that whoever is in Downing Street after May 2015 would abolish the fund without making alternative provisions for access to cancer drugs. 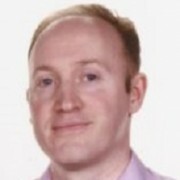 Andrew McConaghie is pharmaphorum’s Managing Editor, Feature Media. 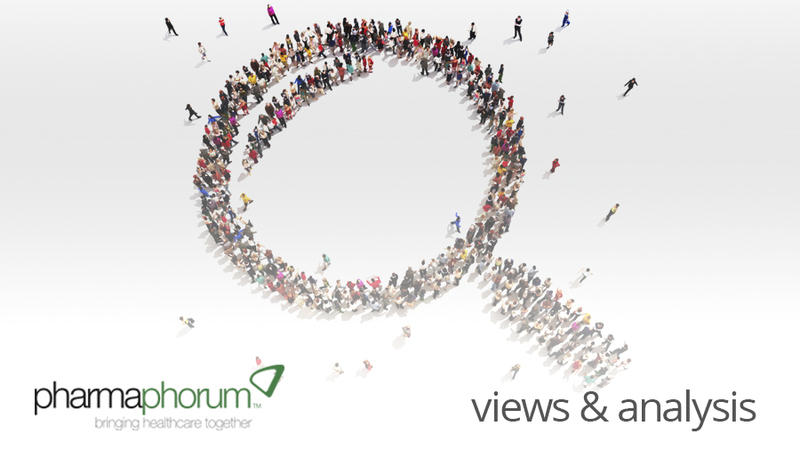 He has been writing about the pharmaceutical industry and NHS since 1999 and provides regular exclusive news and insights from the sector for pharmaphorum.